It’s time to get your guests motoring straight to your next event! The colorful and customizable Indy Car Flyer lets you convey message with flair! 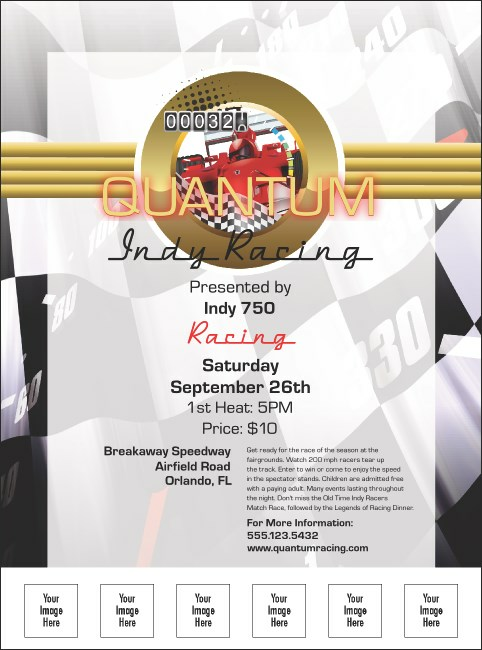 Below a speedometer and checkered flag, an Indy car shares space with your event information. With six spaces to upload custom images you have plenty of room for photos and logos. Show your Indy spirit by using the matching event kit from TicketPrinting.com!